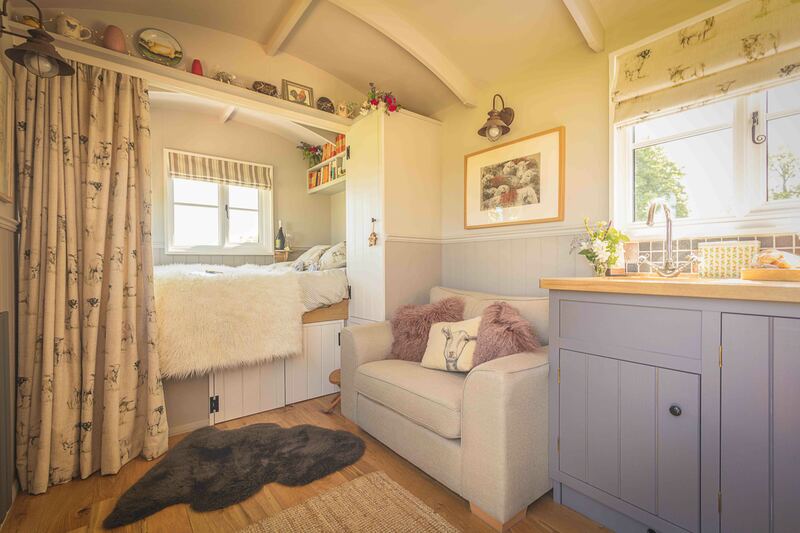 Our Shepherd’s Hut is a brand new, quirky and luxurious place to stay in the lovely, historic village of Elsworth, just a few miles from the historic city of Cambridge. 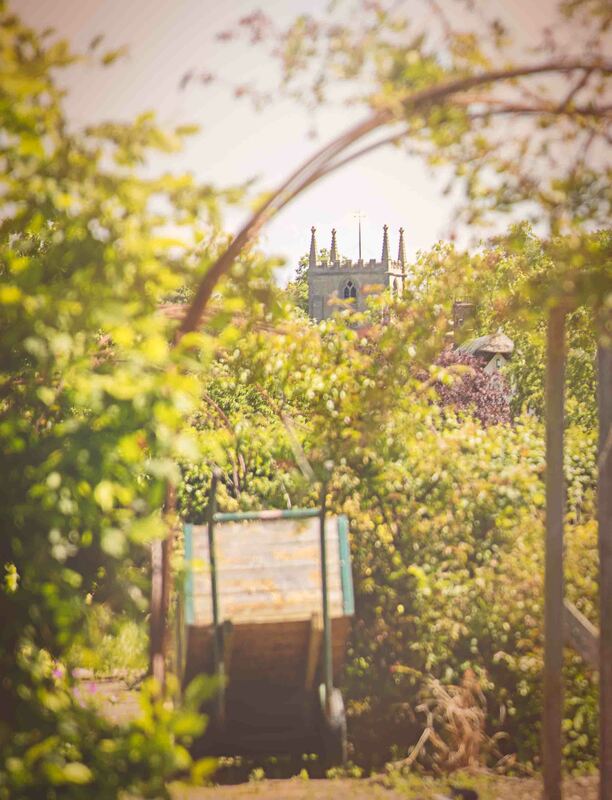 We are surrounded by acres of sheep fields and farm land, and the shepherds hut is located in its own private and picturesque garden by the farmhouse, which has a seating area, fire pit and barbecue. At night, you will experience true tranquillity, with no streetlamps to interrupt the starlight and barely a sound apart from the occasional hooting of our resident owls! 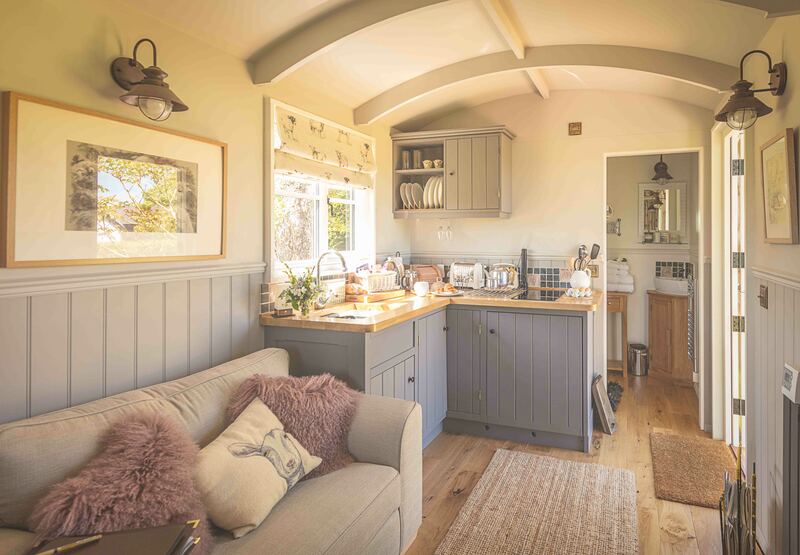 Our Shepherds Hut, which was hand built for us by The English Shepherds Hut Company, is a cosy and luxurious living space for two, which includes a soft double bed with a feather duvet and pillows, a kitchen with a fridge, hob, microwave and sink, and an ensuite with a toilet and shower. It’s warm all year round and has both WiFi and a TV with a DVD player just in case it rains. The hut is based on traditional iron wheels and features a solid oak floor, and authentic vintage black ironmongery, creating a rustic and comfortable retreat. 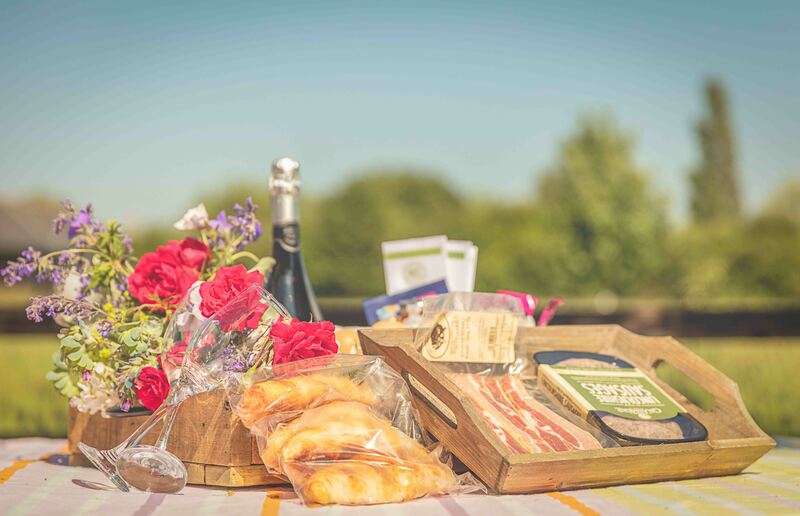 On arrival, you’ll receive a welcome hamper packed with both the essentials such as tea, coffee, milk and juice, and some special treats including something home baked by us and a bottle of something chilled in the fridge! The bathroom will also be stocked with all-natural soaps, shampoo and conditioner. Breakfast includes cereals, croissants, preserves and bread, and we can also provide bacon and eggs from our own hens if you’d like to make a cooked breakfast in the hut. Get in touch on 07970 011983 to book your visit now. 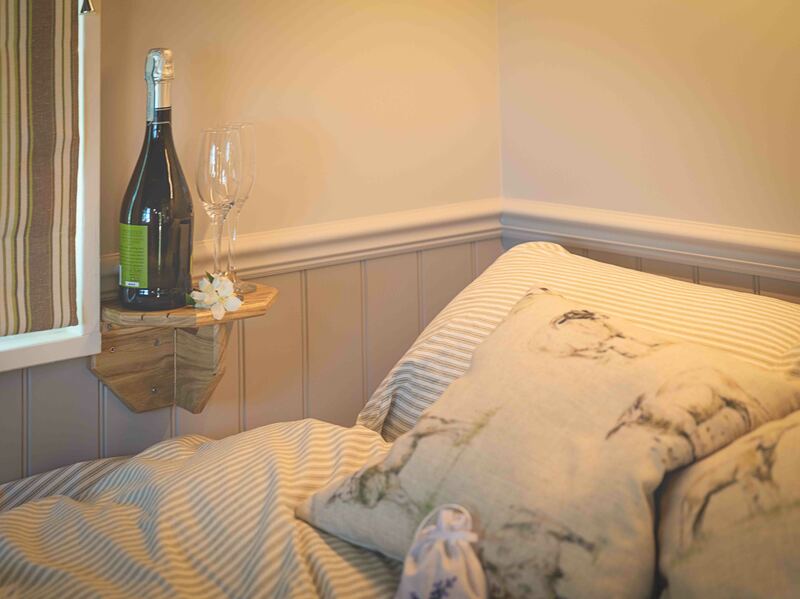 A luxury B&B retreat in the heart of Cambridgeshire. Copyright © 2019 Avenue Farm Shepherd's Hut. All rights reserved.